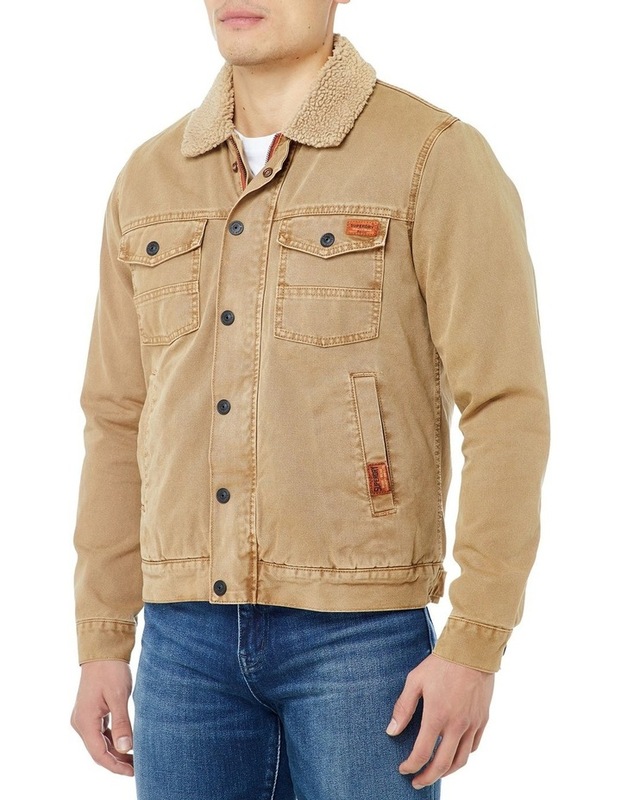 Superdry mens Hacienda chore coat. 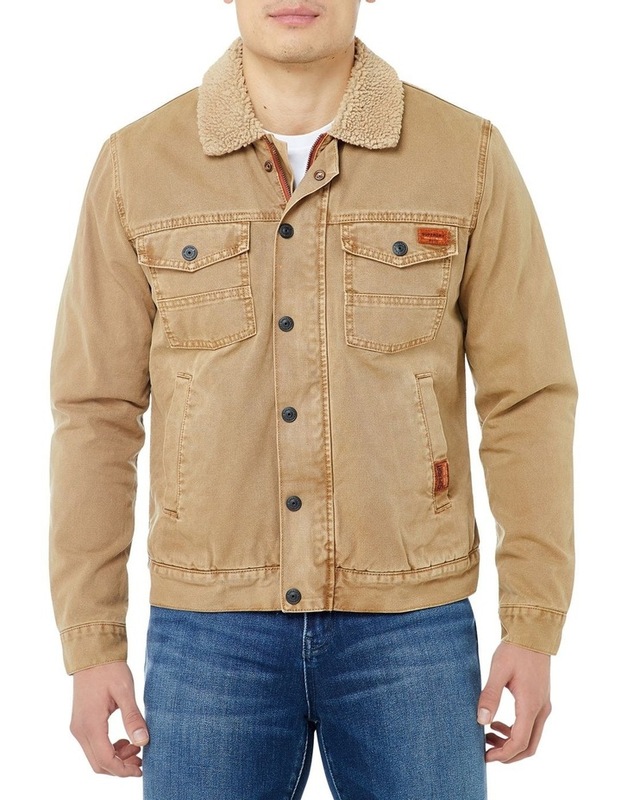 This classic jacket has four front pockets and a fleece lined body for extra warmth. 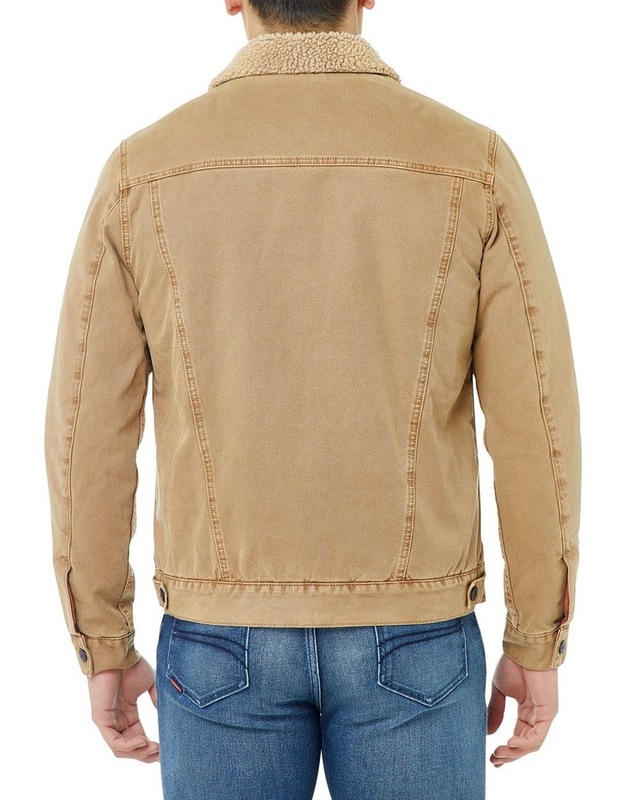 The Hacienda chore coat also features Superdry branded buttons, a zip and popper fastening and buttoned cuffs. The jacket is finished with Superdry logo badges on two of the pockets.